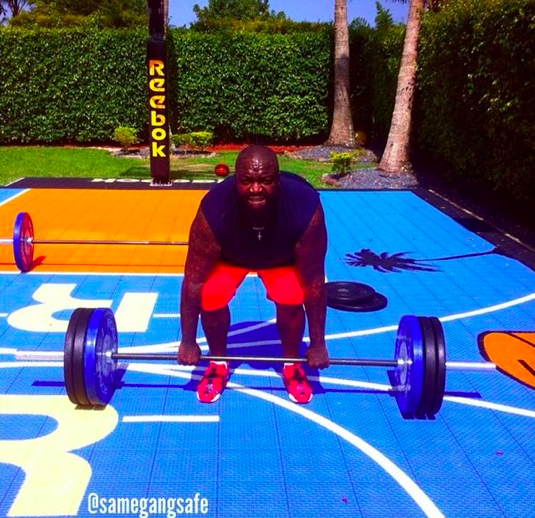 “I do this sh-t called CrossFit. I call it RossFit. Earlier this summer, Reebok had introduced me to a trainer, and what he turned me onto was, let’s say, for instance, if you got on the treadmill, and you did that sh-t for 30 minutes. Yeah, you burning calories, but you could be doing something that’s burning calories and building muscle at the same time. So, it’s like you working out for a shorter time”. “But now, they, they, you know, they give me fruit to eat. I forgot what fruit, you know, tasted like. I eat pears now and sh-t like that”. I love the fact that even previous to his weight loss, he still had enough confidence in his self to take his shirt off on stage. But I love it even more that he took charge of his health even though he was secure with his weight. Cheers to health Ross! 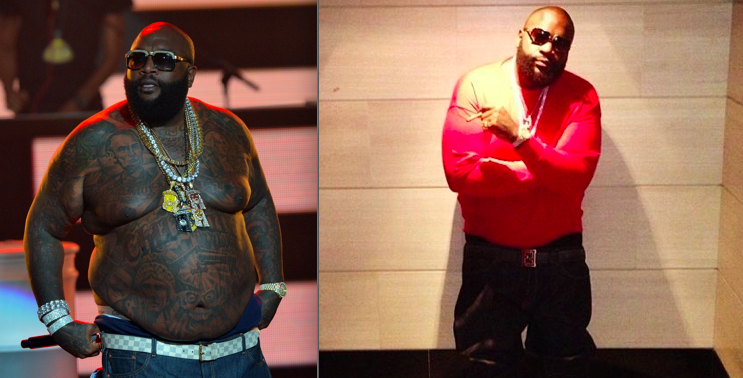 What do you think of Rick Ross’ weight loss?